If you've ever wanted to know how to be rude and get away with it, this could be the book for you. 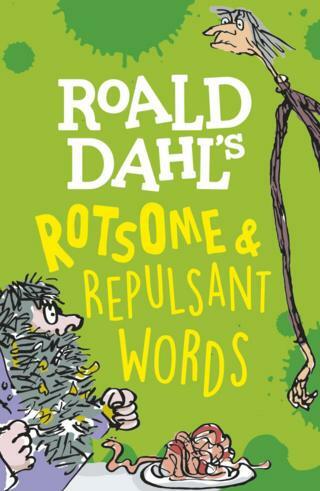 Roald Dahl's Rotsome and Repulsant Words takes some of the hit author's most gloriumptious made up rude phrases and insults and translates them for you! 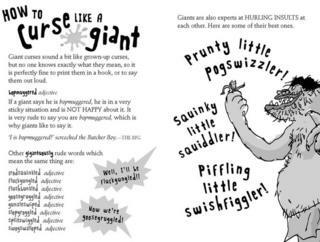 Released on World Book Day, 7 March, the book teaches readers how to throw insults Miss Trunchbull would be proud of, curse like a giant ("prunty little pogswizzler!") and even learn how to be rude in other languages. The book also reveals how some rude words have changed over time. The word 'silly' meant 'very good or worthy' in the middle ages. 'Poppycock' comes from Dutch 'pappekak' which literally means 'soft poo'! Just 100 years ago, the word 'bottom' was considered very rude. Roald Dahl loved to be playful with language and created more made up rude words and insults than any other children's writer. For this book, his most repulsant creations have been researched and analysed by a lexicographer - that's a person who puts together dictionaries - Dr Susan Rennie. 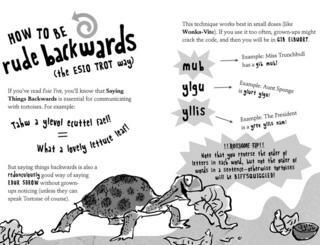 She says she hopes the book will be a "fun introduction to the fascinating world of words and will inspire children to be as creative with language as Roald Dahl himself." Like all of Roald Dahl's stories, the book has been illustrated by Quentin Blake. Who was Roald Dahl and how did he write his books? Roald Dahl Day: Which character are you dressed as? This book looks so funny!